happy to break the law for it. 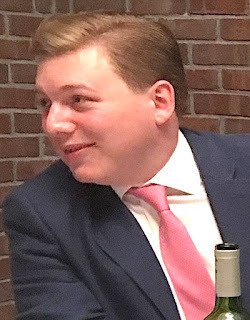 A story we've not commented on before (well ... not much, anyway) reaches it's natural conclusion as yet another Ukip Official will probably go to jail for his financial crimes. 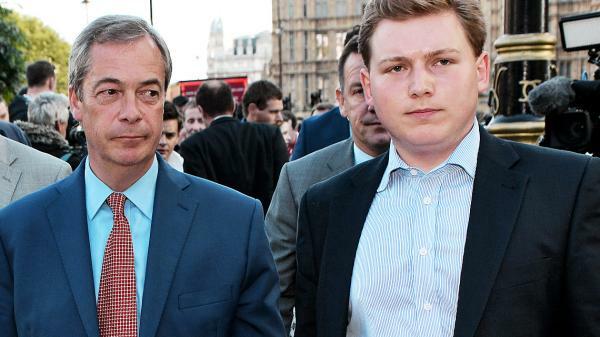 George Cottrell, Ukip advisor, aide to (and drinking buddy of) Nigel Farage, as well as 'gofer' to Arron Banks, plead Guilty (last Monday, court records just released) in Arizona, New Mexico, to charges of Money Laundering, Fraud, Blackmail and Extortion. 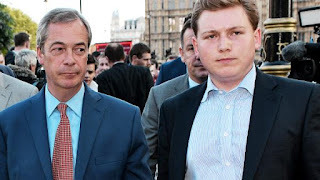 He was arrested in Phoenix, AZ, whilst standing right next to Farage at a Republican Party Convention, and was initially charged with 21 felonies. The charge sheet has been drastically reduced after his plea bargain and confession. But he still faces 'up to' 20 years in prison as a possible sentence - although searches of similair cases indicate that in all likelihood he will get a rather shorter sentence. 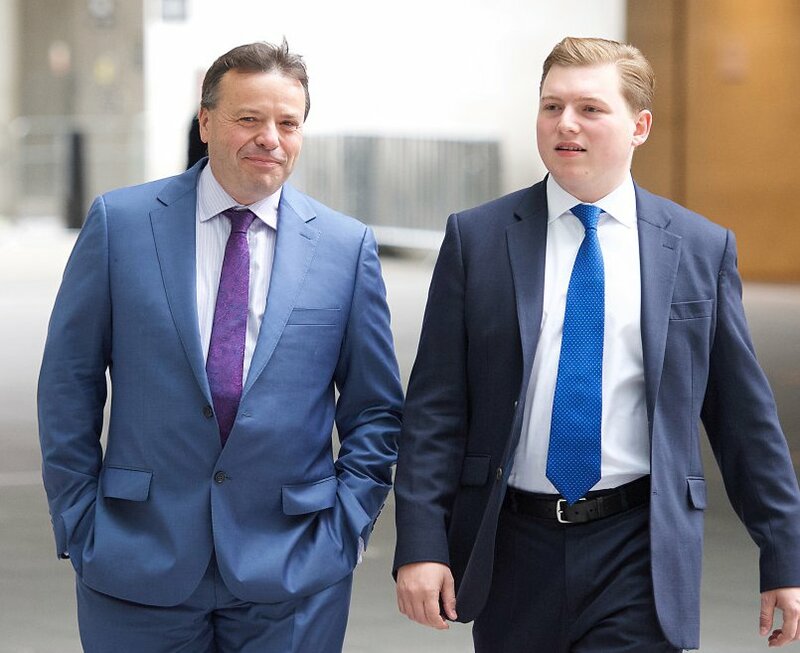 His crimes, of course, were purely for money, epitomising the greed of Ukip people, seeing as Cottrell is personally worth an estimated £130 million, (inherited, of course). 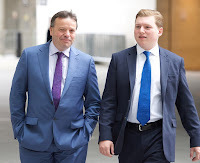 Cottrell is the nephew of Ukip's Lord Alexander Fermor-Hesketh, a former Tory Party treasure, and son of Fiona Cottrell, a model and one-time girlfriend of Prince Charles.